Every Medical Assistant takes a different path to arriving at the same end goal. While some Medical Assistants forgo completing a formal program to prepare themselves, the field is becoming more competitive and it’s not uncommon for hiring managers to favor applicants who have completed a formal academic program for Medical Assisting positions at their facilities. 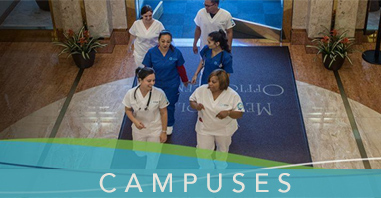 If you are searching for Medical Assisting training programs & Fremont, California is where you’re located, Unitek College is one of the most convenient options for you. Known for providing a high quality, personalized Medical Assisting academic program, it’s no wonder that aspiring Medical Assistants are choosing Unitek. Medical Assisting is the perfect career for someone who craves variety in work. On any given day, a Medical Assistant will be responsible for insurance, billing, and scheduling appointments. Medical Assistants often make the first impression for the office as they greet and put patients at ease. Strong interpersonal skills and a genuine love of people will certainly help in the role, as Medical Assistants not only assist patients but work closely with physicians and nurses as well. Medical Assisting might be the perfect career for someone who desires face time with patients, preparing them for x-rays, removing sutures and dressings, and assisting physicians during medical exams. There is always room to grow and learn within this role. The scope of Medical Assisting may sound overwhelming to some, but Unitek College prepares future professionals for numerous aspects of the job. In fact, students are required to complete 160 hours of a supervised externship where they will receive valuable feedback that will help them grow into the most qualified professionals. What sets Unitek College apart from other programs is that they educate you and also prepare you to market yourselves to future employers. Knowing how to brand yourself and secure employment is a key part of the process, and they assist students in learning how to jumpstart their careers after graduation. With a caring team of career service experts, students have the resources they need to succeed in the job market. More specifically, students can receive help with their resumes, cover letters, interviewing strategies, and more! Unitek’s graduates have found work in physicians’ offices, private healthcare facilities, hospitals, and labs. 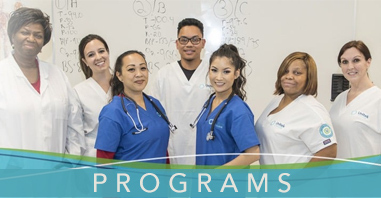 If you are currently located in the Fremont, California area, Unitek College has a Medical Assisting program conveniently located near you.